When the Reds selected Phillip Ervin late in the first round in the 2013 MLB Draft, I kind of hitched my wagon to this guy. 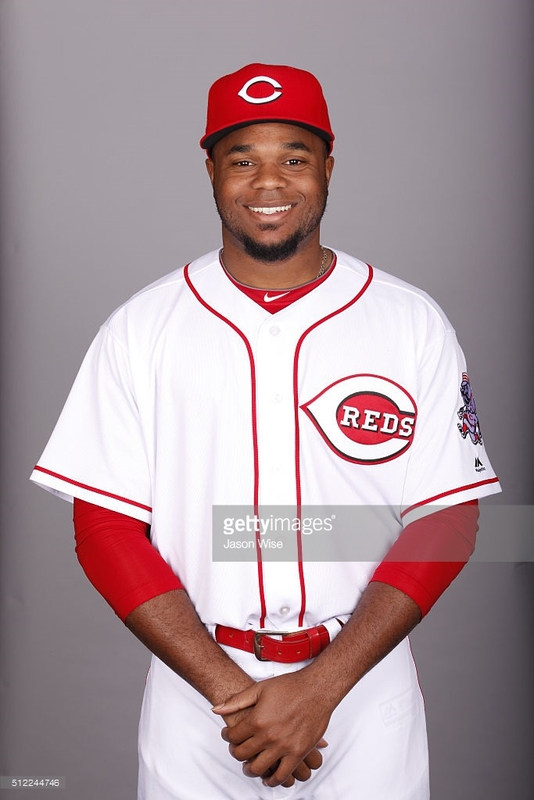 I really wanted him to pan out and get some time at the big league level with the Reds because instantly, he reminded me of a guy I liked a lot as a big leaguer, Ron Gant. I loved me some Ron Gant. Today, he hit his second home run of the spring and in just a couple games he’s hitting .636 so far. If this goes on a little while longer, people are going to begin banging the drum for him to make the big league club in a hurry. Ervin has an awesome set of tools, with the raw arm strength, power and running speed any organization would covet. Yet, his actions at the plate look rigid, his first step isn’t the greatest and he most likely fits best defensively in left field at the big league level, though Reds officials maintain he can fill in at center. He has stayed on track to continue climbing the ladder with above-average offensive production at each level, but his tools need to start shining through in game situations for him to realize his potential for the Reds. I like his chances of developing power to at least an above-average level, as he has the swing and strength to lift balls to all parts of any ballpark. He’s shown a pretty good eye at the plate, but unless his game power takes off, major league pitchers will be able to pick him apart by living on the edges of the zone. His stiff body at the plate limits his hit tool and causes many of his hardest hit balls to be yanked down the left field line. He has made up for it so far with an excellent on-base rate and avoiding strikeouts reasonably well, but his contact quality has yet to progress. He should continue getting on base via free passes because of his power threat, though it needs to be backed up by better hitting to be reliable. Despite already reaching Double-A in 2015, Ervin has both a lot of work to do, and yet a reasonable chance of raising his stock quickly with some smoothing out of his swing. His power and speed will give him an opportunity regardless, but what he does with it will depend on his offensive tools developing consistency against advanced pitching. Here’s a good older post that lists comps for Ervin such as Alex Ochoa, Reggie Sanders, Ian Kinsler, Mark Kotsay, and what do you know; Ron Gant himself. Checking those box scores each day which is usually meaningless this time of year when everyone starts out in camp has been just a bit less meaningless because of Ervin. In a sea of darkness, we have Phillip Ervin for right now.